Having looked at the best simulation games of 2017, it’s easy to see that the genre didn’t have as strong of a year as in 2016. Football Manager remained a staple, having one of its best releases yet. There were other, widely varied, and compelling titles as well. The problem seemed to come with quantity, rather than quality. The few great games were great, but just too few. There’s an incredibly strong case to be made for 2018 to reverse this trend. The year looks to feature one of the widest range of strategy titles in a long time, with a number having the possibility to be simply excellent. Let’s cut to the chase, crack on with some work and look at the most anticipated simulation games of 2018. Let’s start with the closest game to be released this year. Seeing its release in just ten days, Railway Empire looks to bring back the joys of Railroad Tycoon and combine it with features found in other management titles. Gaming Minds Studios (formerly Ascaron), the team behind games like Sacred and Port Royale, look to take advantage of the current void for the game type. Featuring a reported 40 different trains, Railway Empire will allow you to build a variety of structures and track types. Span canyons with bridges, or tunnel through the hills. Build stations and maintenance depots to keep your fleet on the tracks. More than that, invest in and upgrade industries to generate a profit as you trade from city to city and research up to three hundred technologies along the way. Should the competition get too tough, you can also take part in a bit of industrial espionage and sabotage. Tropico is a long running series and your opportunity to found the next Chavismo or become the next Castro. Your decisions will direct the future of your country as the people call for a visionary leader to lead them to the future. 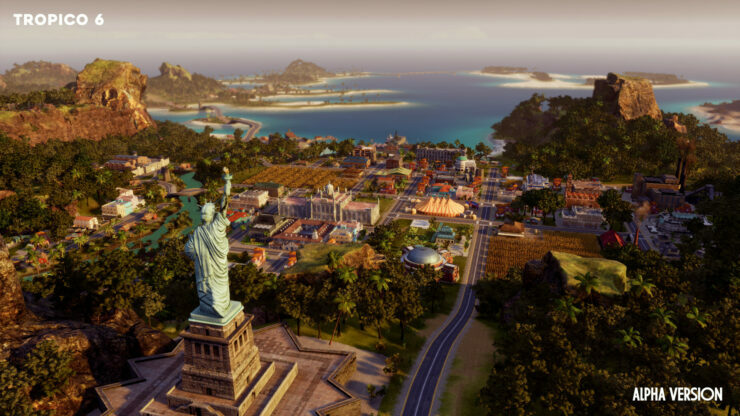 Spanning four eras, Tropico 6 now places you in control of more than one island for the first time in the series. As you expand across the four archipelagos, you’ll use new methods of transport and infrastructure for the first time in the series. In addition to this, send your people to expand your countries fame by stealing world famous landmarks like the Statue of Liberty or Eiffel Tower. Kit out and customise your mansion to make the perfect backdrop for your election speeches. 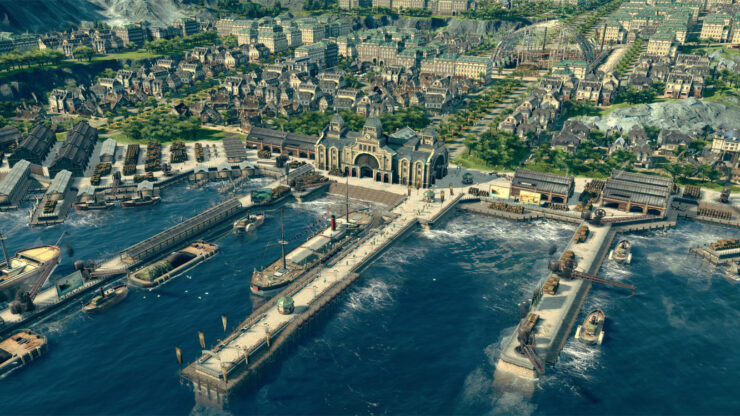 Following the recent forays into the future with Anno 2070 and 2205 (read my review here), Anno and Blue Byte will be taking us back to the past. Returning to the series roots, the city building simulator will be set in one of the most apt periods of time – the industrial revolution. We don’t know a great deal about the game just yet, it only having been unveiled a few months back. What we do know from the setting and screenshots is that we can expect ships, developing industry and the pollution that comes with that industry. 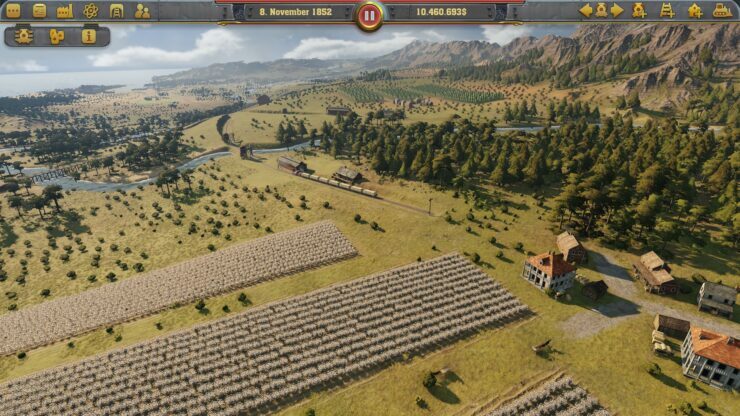 The game reports itself to feature multiple paths to victory, through diplomacy, trade or warfare. In addition, you’ll explore and settle new lands and set up trade routes between your own territories and those of other players, or AI controlled opposition. Any fans of the Jurassic Park or World movies will love the setting. A theme park full of dinosaurs. Majestic and fearsome animals all long extinct, but brought back using science. These dinosaurs in the modern world, there for the enjoyment of people, but always a risk to those watching them. Jurassic World Evolution places you in command of the archipelago and island of the world famous park. In this position you will bioengineer your own new races of dinosaur. In line with this you will build new scientific buildings to enable further research. Once bioengineered, these dinosaurs will be contained in containment facilities. That is until they feature in the brand new attractions you’ve built within your park. Of course there’s always a risk that one of your creatures will go feral, will you be able to manage the capture of the dinosaur, or will the tragedy of Jurassic World be repeated once again? Ace Combat began as Air Combat 26 years ago as an arcade game. My first encounter was with the original PlayStation release a surprising 21 years ago. 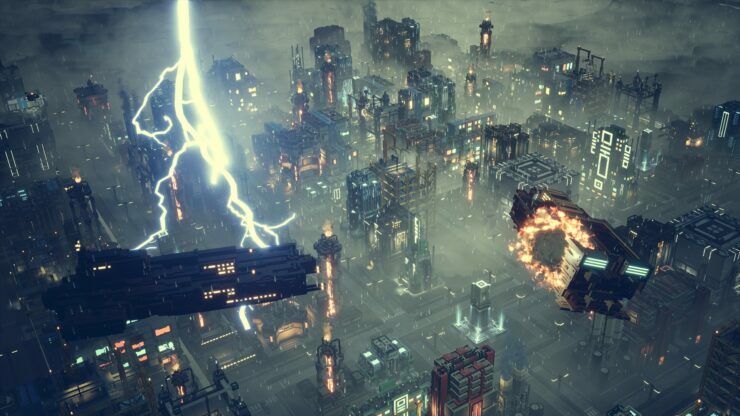 The series remained, for the most part, a fantastical approach to dogfighting with a handful of games set in the real world. 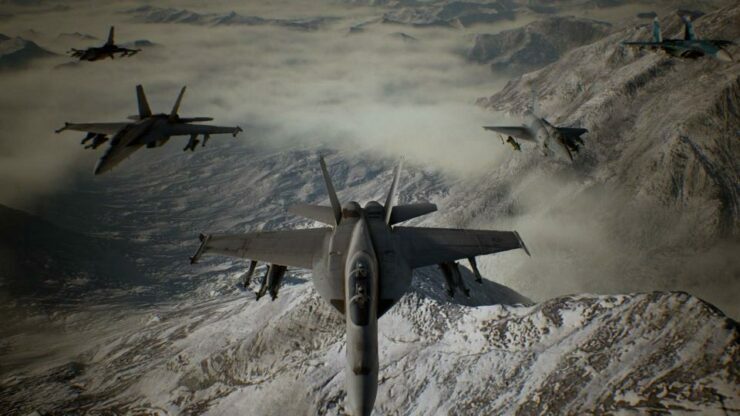 Ace Combat 7: Skies Unknown will return to the world that features the wars of the main series’ alternate reality Earth (Strangereal). For the first time, using Unreal Engine 4, clouds and related effects will make their appearance for the first time. For example, cloud cover will provide an element of stealth for any aircraft within them. However, this will reduce visibility greatly and, if inside the cloud cover too long, ice will form on the wings and result in stalling. In addition to this, players will retain full control over aircraft manoeuvres rather than the on-rails nature of Dogfight mode in Assault Horizon. Worthwhile noting is that Ace Combat 7 will feature virtual reality support exclusive to the PlayStation 4 using PSVR. This will be an exclusive set of missions designed just for the PSVR. Consequently, these missions will not be playable outside of VR mode and will feature reduced visual fidelity to retain 60 FPS found in the rest of the game. We’ve had city builders set across multiple scenarios. From ancient Rome, to the future. Maybe even medieval Europe or to pilgrims in a new world. Within every setting you will face a number of similar challenges like resource management, spatial constraints and the happiness of your people. Frostpunk deviates by having you take over the remnants of society in a post-apocalyptic setting similar to that of Snowpiercer, only instead of a train, you’re fixed into a central location. 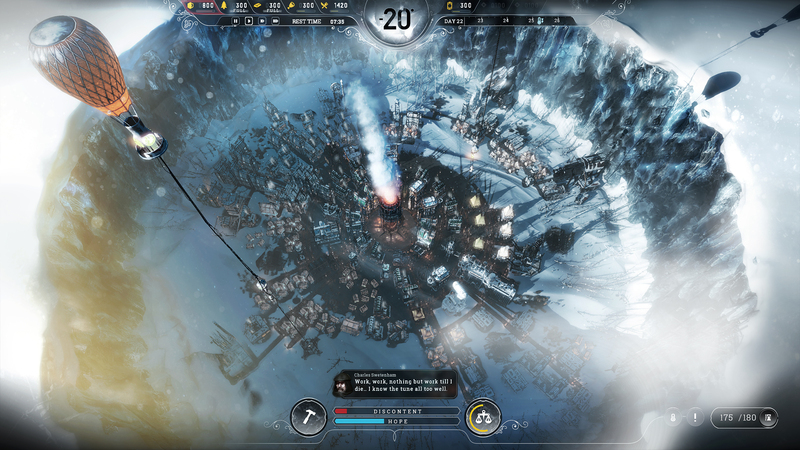 Frostpunk will challenge you in more ways than regularly found in city builder games. Will you retain your morality or enact child labour laws? Will you allow for experimentation on the sick and infirm? You will be able to enact many policies in the games book of laws. 11 Bit Studios, developers of This War of Mine, have a track record of challenging the player with difficult decisions in a compelling setting. Knowing this, you can expect Frostpunk to challenge you in ways you can’t imagine. The genre looks like it will have a fantastic year in 2018. That much I will say without a shadow of a doubt. Not only as a result of the games I’ve listed above, but due to a sizable number of games that I haven’t even mentioned yet. Indeed, my special mentions list below will be exceptionally large, especially considering the traditionally niche nature of the genre. Why? 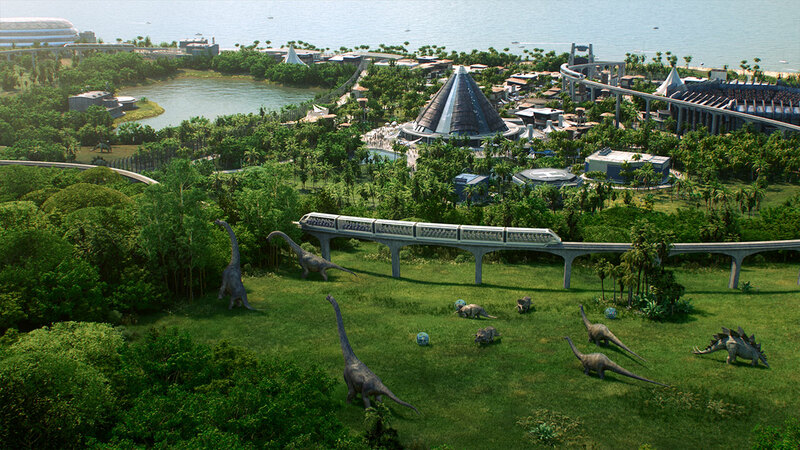 Because in addition to Jurassic World Evolution, we have another two dino-park sims. There’s a spiritual successor to Theme Hospital coming. 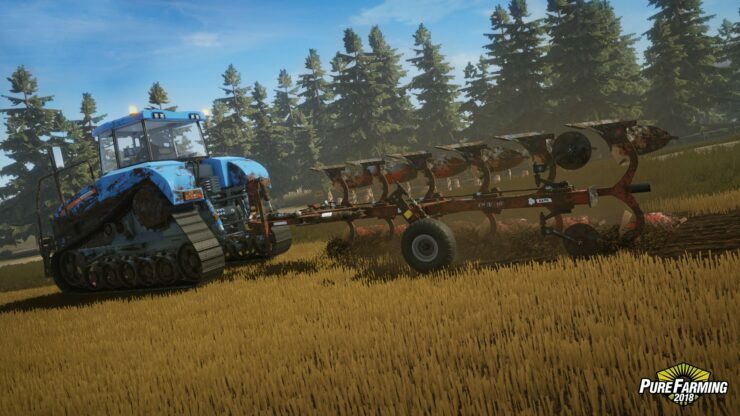 Rise of Industry looks to merge transport management with business management and My Time at Portia takes Stardew Valley to 3D and on a huge scale. Plus there are currently active early access titles to be released soon, like The Guild 3, Oxygen Not Included and Airport CEO. I can genuinely say I’ve never been as interested or excited about a release list of the sim genre before. Much like 2016 for strategy games, 2018 could be the year for simulation games. Also important to note is that for what is usually considered a PC centric genre, consoles are getting a surprising number of these titles.